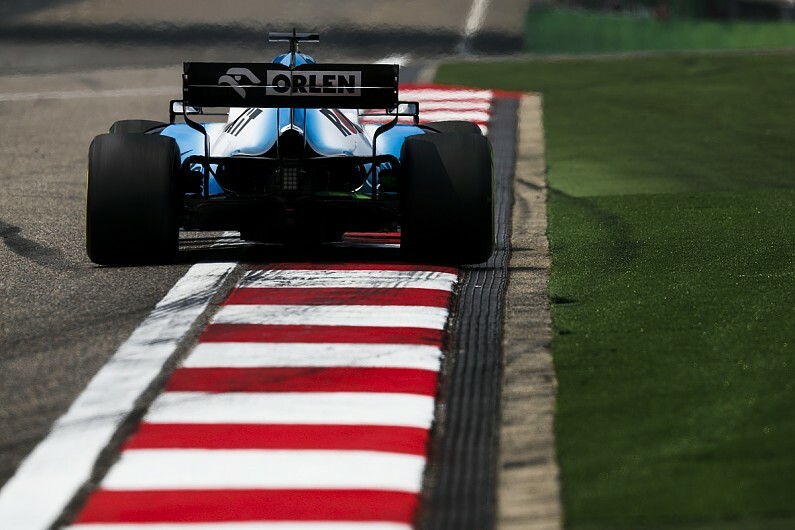 Robert Kubica says he was encouraged by a "different" feeling from Williams's Formula 1 car in China Grand Prix practice, as the team continues to work on improving its FW42. Although Kubica and his team-mate rookie George Russell again propped up the order in Shanghai practice, the one-time grand prix winner said he took heart from the fact some changes made to the car have worked in altering the handling. "The car feels a bit different to [the] last two weekends, so that's a good sign," said Kubica, who edged Russell in both Friday sessions. "Now we have to see the data, what to do, as the balance is quite different to the previous two events." He added: "We just did some changes just to understand and it's not that we have some improvement. "It's just something we changed in the characteristics of the car and it seems like it's responding differently. "Of course on this track you have quite a lot of understeer so understeer is kind of a killer here, so we have to wait and see." But Kubica added he was not expecting any dramatic change in the pace of the Williams. "If we haven't done anything to turn it around in the last two months, there'll be nothing happening in 12 hours," he said. Russell sensed, however, that a few minor upgrades brought to Shanghai have brought the team closer to the cars ahead. "I think there were a few positives," said the Briton. "The long run pace was fairly decent compared to Racing Point. We definitely as a team seem closer, so again that's positive and all going in the right direction." Asked if he sensed progress was coming from new parts or just a better understanding of the car, Russell replied: "We've got a couple of little new bits. I'd probably say it's a bit of both. "Everybody is understanding the car, but I think we probably didn't optimise it as much as everybody else in the previous two races. "So I think we are just getting more out of it."